Korres White Tea Gel Cleanser is designed using 78% natural ingredients and most notably without using mineral oil, parabens, and silicones making it suitable for all skin types. The gel is made using vegetable derived soap substitutes containing organic white tea extract, a rich source of polyphenols that provides antioxidant protection. I switched to using this product as my first step cleanse after being less than impressed with my previous choice. 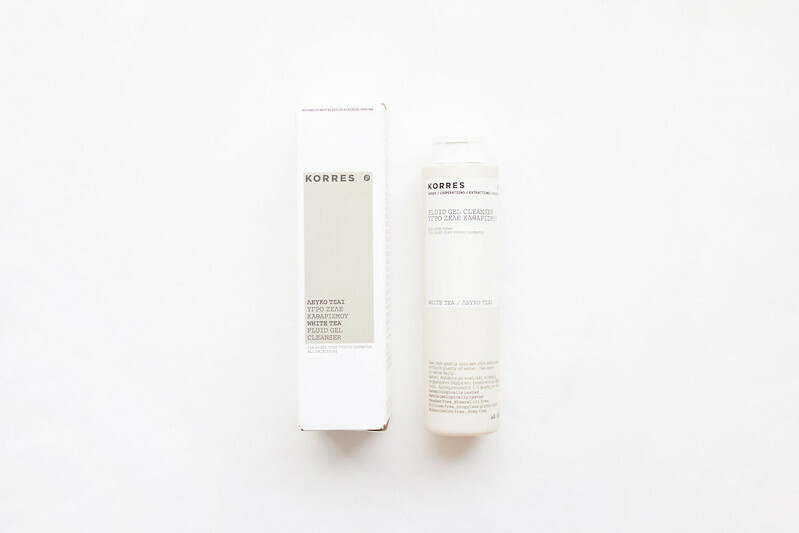 Korres White Tea Gel Cleanser removes make-up and is super safe to use on the eyes; it works quickly and easily, deeply cleansing and refreshing without dehydrating the skin. The low foaming, sulphate-free, natural formula makes this product ideal for sensitive skin and will help with blemish prone complexions. I found any skin complaints I had were eased by using this product; it’s gentle yet effective and doesn’t leave the skin feeling tight or overly dry. Used in conjunction with a creamy cleanser, it’s an ideal first step for cleansing skin. The only thing I wasn’t so keen on with this product was the smell. It’s in no way offensive, in fact it’s light and fresh smelling yet unfortunately it reminds me of dishwashing soap. If your skin can be fussy or prone to sensitivity like mine, and you want a natural product that is gentle yet effective at removing all traces of make-up, then I’d recommend buying Korres White Tea Gel Cleanser. Anything that smells like dishwashing liquid puts me off. Don't ever try 42 Below Feijoa flavoured vodka. I'll have to try this - I love Korres. I spent several years wearing one of their fragrances before realising it was a man's cologne but I still love and wear it to this day.